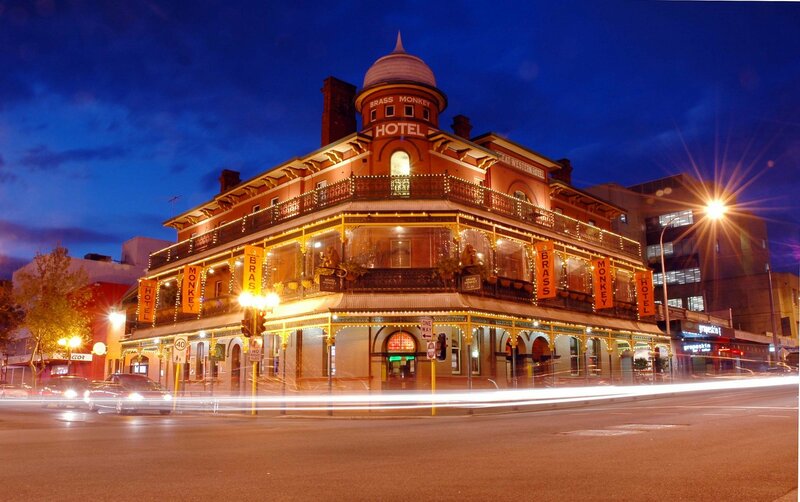 The Brass Monkey is a Perth icon and the most photographed hotel in WA. You'll understand why when you see it lit up at night, beckoning hungry and thirsty pedestrians to wander in. Let's talk about being spoilt for choice. You can monkey around in several funky bars. There's an upstairs Café bar, a sports bar, the balcony and a courtyard area as well. Take a compass. And then there's Grapeskin; The Brass Monkey's award winning wine bar offering a wine list longer than a monkey's arm and superb, modern food. Also on offer is a huge walk-in bottle shop and function rooms for whatever occasion. It takes a while to get to know The Brass Monkey, but it's worth it. Don't get lost.